It’s a subject that’s open to great debate, but most people agree that the very first proper computer racing game was launched back in 1974. Called Gran Trak 10, it was a pretty basic arcade game in which you guided your ‘car’ around a track viewed from above in an attempt to beat the clock. The screen was black and white, the action was slow and the thrills mainly came from the fact that this was a breakthrough for video games that, until then, had mainly been variations on the classic tennis game. Two years later, the designers of Gran Trak 10, Atari, made another breakthrough with their game Night Rider. For the first time this allowed players to have a first person perspective seeing the track ahead of them. Moving on to the 1980s, Namco came up with another game changer with Pole Position. This let players take place in qualifying laps before earning a place on the grid. The second part of the game was competing in a real race. By the 1990s racing games were becoming more recognisable as the versions we play today with 3-D imagery, the chance to change perspective and even with a choice of cars to use and circuits to take on. One of the leading games that introduced all these elements was Virtua Racing from Sega. But it was the Need for Speed series of games that really put down the blueprint for today’s racing games with its narrative themes and which led on to the development of today’s favourites like the Forza Motorsport series. 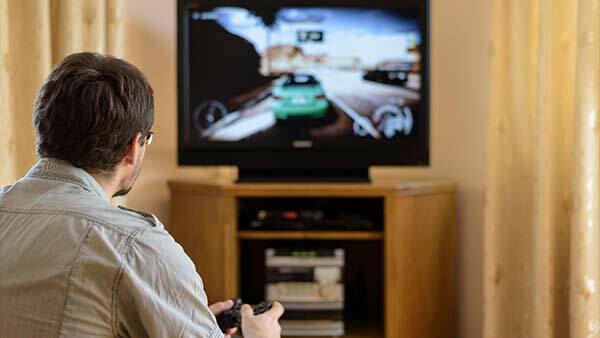 In recent times it’s been multiplayer racing games that have really grabbed players’ attention. There’s something extra exciting about playing against a real-life opponent instead of a piece of software and this is an insight that’s been taken up by more people than just the games developers. You can find great racing games everywhere these days. With engaging gameplay and high-quality graphics and audio, even traditional slot games can hold their own against the big console offerings. Slot Races is a great example of an awesome multiplayer racing game. As players spin their wheels, they compete with others to pick up points and reach the top of the leader board. There are bonuses and prizes to be won along the way and the chance to be crowned champion and earn a place on the podium. For the winner of each race there’s a victory cup as well as a prize, not to mention all the other bonuses that they’ve picked up along the way. Before you take a punt on any of the Xbox games we’ve reviewed below, check out the Slot Races game now – it’s far cheaper to play and you can even stand the chance of winning some cash for your efforts. One of the best Xbox racing games ever has to be Forza Motorsport 7. They say that this is the biggest and most ambitious racer that Microsoft has ever produced and when you’ve played it you’ll probably agree. There are over 700 cars to choose from and you can compete over 32 different locations. With dynamic weather and customisable drivers it’s the most complete Forza Motorsport experience yet and was widely praised on release in October 2017. Its worldwide popularity is underlined by the fact that there are well over 14 million players registered in the Forza community to date. Of course, huge sales are something this games developer knows all about with Forza Horizon 3 reportedly shifting over 2.5 million units worldwide. lighting design to the sound effects is a distinct improvement from WRC 6. There has also been the introduction of Epic Stages. Taking between 15 and 20 minutes to complete, these give a real impression of the stamina needed for actual rallying. So it remains the number 1 rallying experience for millions of players all round the world and looks like a franchise that’s certain to continue for many seasons to come. Of course, you don’t always have to race on dry land, as Riptide GP: Renegade from Vector Unit proves. Your vehicle’s a jet ski and among the obstacles that get in your way are cops trying to bust you for illegal racing as well as waves that can get a little choppy sometimes. The game also features a Career Mode that has been singled out for special praise from reviewers with its races, elimination rounds, slalom courses, and freestyle events where you can practice and perfect various tricks. When the Italian games developers Kunos Simulazioni first started working on Assetto Corsa (literal translation, “Racing Setup”) the aim was to make it a realistic racing experience and one which would take into the account the actual physics of hurtling a car round a race tract. Few could deny that they’ve succeeded. With development costs for any game like this running into the tens of millions of euros they also took the shrewd decision to allow extensive modification and the creation of new cars and circuits by players themselves. Kunos were so impressed by some of the results that they have transformed some of the modifications into officially released content. Today it’s also ranked as one of the most played racing games on the Steam platform and is estimated to have sold over 1.4 million copies worldwide. There’s no doubt that the gamers’ appetite for multiplayer racers shows no sign of letting up. But with ever more realistic experiences being demanded this means the cost for developers is rising. It’s estimated that the most expensive games can cost up to $50 million which means a lot of units need to be sold. This means their games are going to have to be better than ever if they want to be sure of recouping that kind of outlay. And that, in the long run, has to be very good news for all Xbox racing games fans – and computer game lovers in general.